Superior Viaduct excel with the 1st ever pressing of Trevor Duncan’s enveloping OST, overlaid with French and English narrations, for Chris Marker’s award-winning sci-fi short, La Jetée (1962) - a main inspiration behind the classic ‘90s sci-fi, 12 Monkeys. Completely unmissable!!! “"This is the story of a man, marked by an image from his childhood." Thus begins, with deceptive simplicity, Chris Marker’s La Jetée (1962). The film, by far Marker’s best-known work, synthesizes many of the elusive filmmaker's central preoccupations – time and memory, power and resistance, the ephemerality and resilience of love – yet it also undermines the very idea of film. 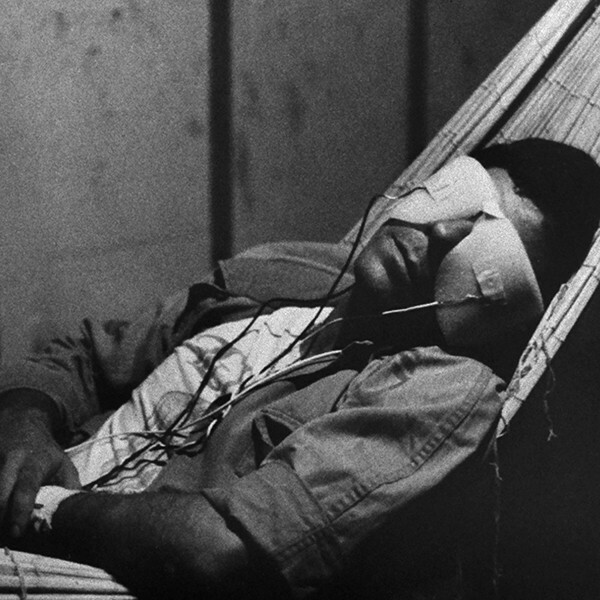 Composed almost entirely of still photographs, La Jetée quite literally pieces together the tale of an unnamed, forsaken protagonist, drafted into a series of time travel experiments in post-apocalyptic Paris. While Marker creates some of the most hauntingly beautiful imagery in cinema, what animates La Jetée's frozen pictures is its sparse and unsettling soundscape. Whispers, breaths and heartbeats offer an unnerving reminder of bodily rhythms that, inside the film and out, will inevitably cease. Fragments of symphonic music at once capture a love affair and underscore the tragedy awaiting it. The poetic momentum of the narrator's voice, our only guide: "On the tenth day, images begin to ooze, like confessions."